5 Years Longlife Protection. -36c (Ambient) Winter Protection. +45c (Ambient) Summer Protection. Pure concentrated ethylene glycol, silicate free with Organic Acid Technology. 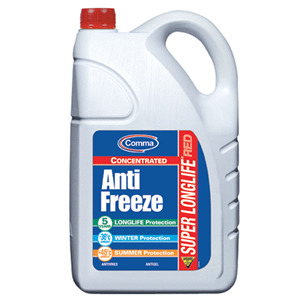 May be used in all petrol and diesel engines to provide outstanding Longlife-5 year Protection.